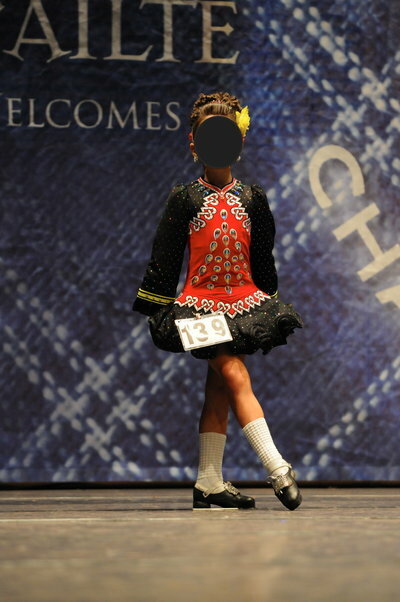 This beautiful 1 year old, Jo Batley dress, worn by a petite U9 open dancer, is selling due to a growth spurt. 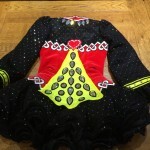 It has black sleeves and skirts and a bright red velvet bodice adorned with hundreds of swarovski AB crystals. 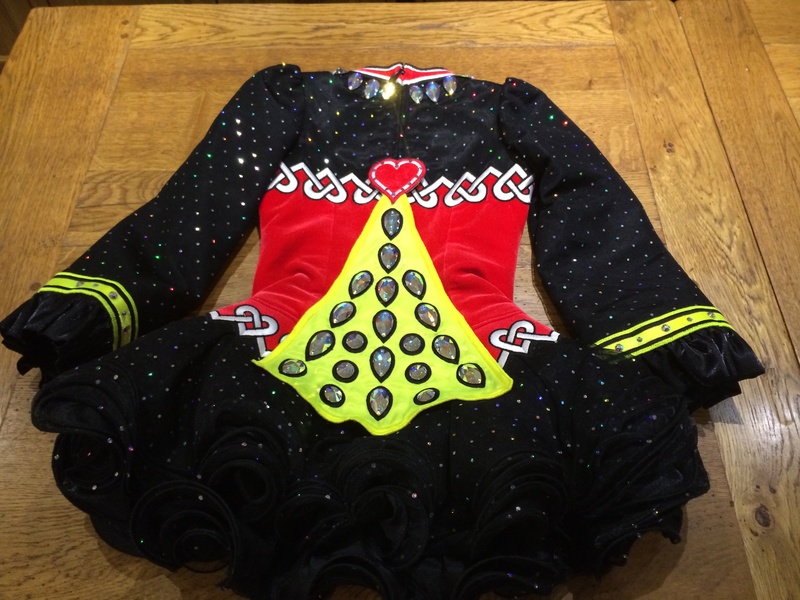 This dress is in very good condition and has been maintained in a smoke free home. The shoulders have been let out (1/2 inch each) once. It will come with a black kick pants, a Black hair band and two red heart hair clips. Asking Price: £500 ono. Shipping costs are not included in the asking price. Sale is final.